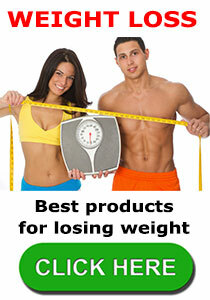 Trimdextra is a diet pill that promises to help men and women say “Bye bye ab flab . . . hello high school body.” The manufacturers also claim that it is “one of the best diet pills that work fast”. Other touted benefits include. The pills are manufactured in the US by R. Walker Companies, who also produce a variety of other weight loss supplements. In fact, this product appears to be just a copy of an existing product (Abidexin) that already has a long and confusing history and is actually just an older product (Apidexin) in a different bottle. And, as if this isn’t already confusing, Trimdextra has also been marketed as Apidextra. All of this is enough to give any self-respecting diet pill a serious identity crisis, but the most amazing thing of all is the manufacturer’s claim that their latest clone is the result of two decades of research and development. The majority of sales are made via the company website. Worldwide shipping is offered, but entails a rather hefty shipping charge. On the plus side, better deals can be secured by taking advantage of one of the bulk buy discounts. What is Trimdextra and How Does it Work? Trimdextra is a diet pill designed to suppress the appetite and encourage fat burning. The recommended dose is one to two capsules per day, which should be taken half an hour before a meal—or any chosen form of exercise—and washed down with 12 – 16 ounces of water. Caffeine Anhydrous: A powdered form of caffeine that may contribute to fat burning. Caffeine is also a known stimulant so it should also provide increased alertness, but may also carry some side effects. Green Coffee Bean Extract: Extracted from unroasted coffee beans. These are known to be high in chlorogenic acid, which is believed to have some fat burning abilities, but further study is required. Green Select Phytosome Green Tea: Trademarked green tea extract. Green tea is known to be a valuable source of antioxidants, but a range of conflicting test results suggest that its fat busting properties are far from proven. Irvingia Gabonensis: More popularly known as African Mango. Rich in nutrients and proclaimed as a “super fruit”, African mango’s claimed prowess for assisting weight loss was brought to public attention when it was featured on the Dr. Oz show (USA), but one of the show’s experts later stated she now considers the results “Underwhelming”. Co-Enzyme Q10: An enzyme that helps the body convert food into energy. Co-Enzyme Q10 does not carry FDA approval for use as an ingredient in supplements. The manufacturers claim all these ingredients have been scientifically tested, and this is true enough, but they are far from proven because many test results have been conflicting. This is all hypothetical though, because no inclusion rates are supplied, which makes it impossible to assess any possible benefits or side effects. Trimdextra has not received the benefit of media exposure. The only people who are pushing this product are the manufacturers and all of their efforts seem to be concentrated on their website. 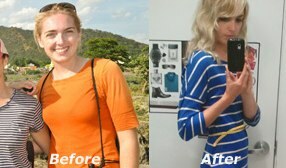 The official website contains several positive testimonials that are accompanied by some rather unconvincing before and after shots where the only visible difference is the choice of clothes. Some of the testimonials are also misleading. Sarah, for instance, is “on her way to losing 20+ pounds”. This sounds very good, but a little more reading discloses the fact she has only lost 6lbs. so far. Independent reviews would have more credibility, but none are available at this time. The lack of inclusion rates makes it difficult to speculate on any possible side effects, but if the caffeine content is sufficiently high it may result in some users experiencing side effects which may include heart palpitations, the jitters, and restlessness. The Co Enzyme Q10 content is slightly more worrying because its use may result in reductions in the blood sugar levels, which may be an issue for diabetics. The enzyme is also known to lower blood pressure and may have negative reactions with some medications, so potential users are urged to speak to a health care professional before deciding to use this product. Trimdextra is an old product hiding behind a new label. Many promises are made for its potential to reduce the waist line, but as with so many other products these promises have little to support them but the manufacturer’s say so. Some of the ingredients look promising and may have merit if included in sufficient quantity, but all quantities are unknown. This also means the potential side effects are also unknown; so consumers are advised to give this one a wide berth. The product has never been tested. It may not work. A money back guarantee is available, but it will be of little recompense to any consumer who reacts badly to one or more of the ingredients. Availability appears to be limited to its own official website. 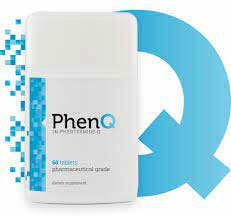 The diet pill that we recommend if you are researching commercial fat burner and appetite suppressants is PhenQ. PhenQ is a combination of natural a pharmacy grade ingredients that is arguably the most most effective non prescription diet pill available. It is formulated in FDA registered facilities and has many real testimonials associated with it. 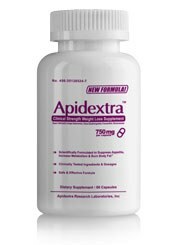 This entry was posted in Appetite Suppressants and tagged Co Enzyme Q10, Q10 Side Effects, Trimdextra Canada, Trimdextra GNC, Trimdextra or Abidexin, Trimdextra or Apidextra by admin. Bookmark the permalink.